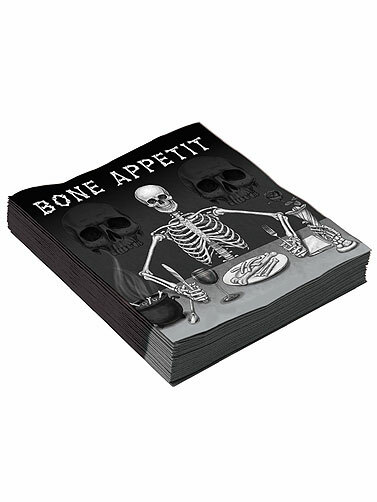 Bone Appetit Paper Napkins have a fun skeleton print that is perfect for Halloween. Black napkins with a monochrome print featuring skeletons and skulls. Matching Bone Appetit decorations and tableware is available. Each sold separately. Bone Appetit Paper Napkins measure 6.5" x 6.5" 16 ct.